An ingenious, fast-paced historical thriller from the author of the "New York Times" bestseller "The Last Templar"
On a cold, bleak day in 1916, all hell breaks loose in a mining pit in the Ural Mountains. Overcome by a strange paranoia, the miners attack one another, savagely and ferociously. Minutes later, two men--a horrified scientist and Grigory Rasputin, trusted confidant of the tsar--hit a detonator, blowing up the mine to conceal all evidence of the carnage. In the present day, FBI agent Sean Reilly's search for Reed Corrigan, the CIA mindcontrol spook who brainwashed Reilly's son, takes a backseat to a new, disturbing case. A Russian embassy attache seems to have committed suicide by jumping out of a fourth-floor window in Queens. The apartment's owners, a retired physics teacher from Russia and his wife, have gone missing, and further investigation reveals that the former may not be who the FBI believe him to be. Joined by Russian Federal Security Service agent Larisa Tchoumitcheva, Reilly's investigation of the old man's identity will uncover a desperate search for a small, mysterious device, with consequences that reach back in time and which, in the wrong hands, could have a devastating impact on the modern world. 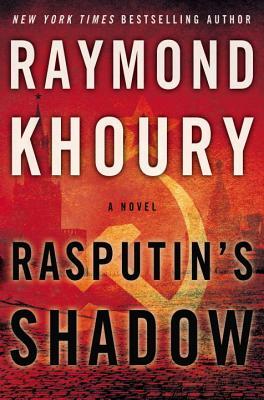 Packed with the twists, intrigue, and excitement that Khoury's many fans have come to expect, "Rasputin's Shadow" will keep readers turning pages long into the night. Templar Salvation," and "The Devil's Elixir." Also an acclaimed screenwriter and producer, he lives in London with his family.